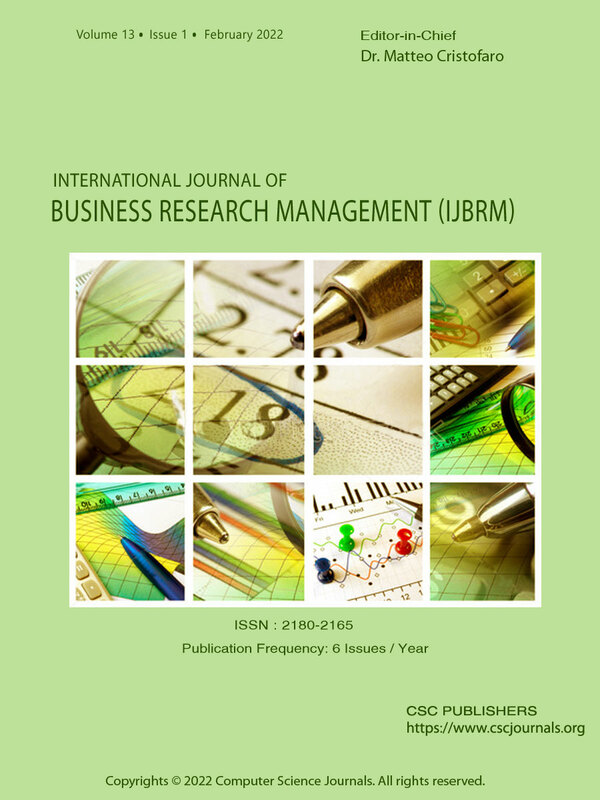 International Journal of Business Research and Management (IJBRM) seeks applications from enthusiastic researchers and scholars who can oversee and maintain the editorial direction of the journal to ensure a steady flow of engaging and thought-provoking original research publications. IJBRM is a peer-reviewed International journal dedicated to publishing an open access original research, reports, and reviews. For future improvement and development, IJBRM particularly seeks editors who can continue the enduring and ongoing editorial successes to next level and introduce the journal profile to different libraries and research centers around the globe. IJBRM welcome applications from editors with strong academic background and Internationally recognized reputation. Applicants with significant publishing or reviewing experience will be preferred. To qualify for the post of editorial board member (EBM), Associate Editor-in-Chief (AEiC) or Editor-in-Chief (EiC) applicants must have PhD degree having wide experience in academic/Industry/ research and international conferences. Visit Editors Guidelines for further details about the role and responsibilities of editors. Special Issue Guidelines provide useful information about rules and eligibility criteria to become guest editor and launch successful special issue for IJBRM. For more information about the strategies and step involved in peer-review, please visit Peer Review Process. For additional information and inquiries, please contact us at coordinator@cscjournals.org.